"Nicki Minaj is a Trinidadian-born American rapper, singer, songwriter, model, and actress. Born in Saint James, Trinidad and Tobago and raised in Queens, New York, she gained public recognition after releasing three mixtapes between 2007 to 2009 and subsequently signed to Young Money Entertainment in 2009. Minaj's first and second studio albums, Pink Friday (2010) and Pink Friday: Roman Reloaded (2012), both peaked at number one on the U.S. Billboard 200 and produced the successful singles "Super Bass" and "Starships", the latter of which became one of the best-selling singles of all time. In 2010, Minaj became the first female solo artist to have seven singles simultaneously charting on the U.S. Billboard Hot 100. 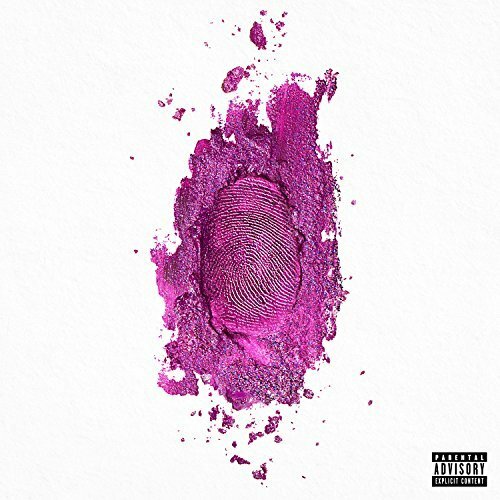 Her third studio album, The Pinkprint (2014), was preceded by its second single, "Anaconda", which peaked at number two on the Hot 100 and is her highest-charting single in the U.S. to date. Minaj made her film debut in the 2012 animated film Ice Age: Continental Drift, followed by supporting roles in The Other Woman (2014) and Barbershop: The Next Cut (2016). In 2013, she was a judge on the twelfth season of American Idol. Minaj was the first female artist included on MTV's Annual Hottest MC List, with a New York Times editor saying that some consider her to be "the most influential female rapper of all time". In 2016, Minaj was included on the annual Time 100 list of the most influential people in the world. Her rapping is distinctive for its fast flow and the use of alter egos and accents, primarily British cockney. Early in her career, Minaj was known for her colorful costumes and wigs. As of 2017, she is the world's most followed rapper on Instagram. In September, Minaj joined the judges' panel for the twelfth season of American Idol with Mariah Carey, Keith Urban, and Randy Jackson. [In 2013], Minaj was the most-charted female rapper in the history of the Billboard Hot 100, with 44 entries, tying Mariah Carey among women of all genres. Her seven nominations led those for rap musicians at the 2013 Billboard Music Awards, and she was the first rapper to win the BET Best Female Hip-Hop Artist Award four consecutive times. Minaj's first live-action theatrical film The Other Woman was filmed in spring 2013 and premiered on April 25, 2014. She played Lydia, assistant to Carly (played by Cameron Diaz). In 2013, Minaj described her then-forthcoming third album, The Pinkprint, as "a continuation of The Re-Up with a lot more" and said it would focus on her "hip-hop roots"... "Pills n Potions" was released as the lead single from The Pinkprint in May 2014. "Anaconda" was released in August as the second single, peaking at number-two on the Billboard Hot 100, becoming her highest-charting single in the U.S. to date. The video set a 24-hour Vevo record, accumulating 19.6 million views on its first day of release, breaking the record previously held by Miley Cyrus for "Wrecking Ball". The album was officially released on December 15, 2014, peaking at number-two on the Billboard 200 chart. In February 2017, Minaj was featured on Jason Derulo's single "Swalla", which reached the top ten in several countries, including a peak of number six in the UK singles chart. Justin Ivey from XXL wrote that Minaj "comes through to close out the track with bars that steal the show". The following month, Minaj signed with the major modeling agency, Wilhelmina Models. On March 20, 2017, when her songs "No Frauds", "Changed It", and "Regret In Your Tears" were released simultaneously, Minaj broke the record for the most Billboard Hot 100 entries for a female artist in the chart's history, which was previously held by Aretha Franklin. In May, Minaj opened the 2017 Billboard Music Awards with a medley performance that was described by Rolling Stone as "flamboyantly produced" and "dexterous". Throughout the remainder of 2017, Minaj performed on several successful singles, including Migos' "MotorSport" and Yo Gotti's "Rake It Up", both of which peaked in the top ten of the Billboard Hot 100 chart, at numbers six and eight, respectively. Throughout her career, Minaj has won numerous awards, including six American Music Awards, ten BET Awards, seven BET Hip Hop Awards, four Billboard Music Awards, three MTV Video Music Awards, three MTV Europe Music Awards, two People's Choice Awards, one Soul Train Music Award, and four Teen Choice Awards. Minaj won the American Music Awards for Favorite Rap/Hip-Hop Artist and Favorite Rap/Hip-Hop Album in three different years for her first three albums. She has won the MTV Video Music Award for Best Hip-Hop Video twice, for "Super Bass" and "Anaconda", and has won the Best Female Video Award once, for "Starships". Some of Minaj's videos are NSFW. Watch at your own discretion.